As I sit here with my new computer, I'm reminded how life events that happen to us aren't about what they seem. You see, a few weeks ago, I spilled an entire glass of water on my laptop. Ouch. Luckily, I have a slew of tools to help me address these fears and deeper beliefs, to the point now where I practice embracing the possibility that this situation has happened for a reason, even while it appears that this a problem (for the reasons my mind is telling me above). I then choose to decide that I can continue to keep looking at this problem with the fear based parts of my mind, or I can choose to let it be looked at by my highest self. I can keep replaying the thoughts about what I've done wrong over and over again alone, or I can ask my higher self to show me how she will use this situation for good. It’s a cultural paradigm that we believe something outside of us is our source. What if you truly, and I mean truly, emotionally 100% without a doubt believed that the source of all happiness, peace and abundance is within you? I’ve spent years trying to fix things on the outside because I thought the answers were out “there”. .
How could I do any differently! It’s what I learned from all around me. . Yet, a voice within kept guiding me to look closer. Pay attention. Hear what the alarm bells within were saying. Making me my first priority has reaped so many benefits in my life. .
I’ve released bucket loads of shame and insecurities. I am in a loving and healthy relationship after decades of believing I was doing something wrong in dating and abandoning myself in the process. Ive run my own business for 6 years and supported myself consistently throughout all of this time. I’ve healed Acid reflux, ulcers, layers of muscle tension, muscle convulsions, fibromyalgia, anxiety, ptsd, depression and more through choosing over and over again to listen to what I need first. Recognizing pain/fear/worry/stress as something that needs attention. Recognizing lack of energy means I’m meant to take time to refill it. Recognizing that my limits are telling me more about who I am and also about who I am not. Knowing that I get to be myself and that is enough to receive all the gifts of life. The signals from our bodies are asking for attention. Know that they are coming up for a reason. And for those that I work with who are deciding to step deeply into their calling each and every day, this is a breeding ground for the above symptoms to come in and hijack us! 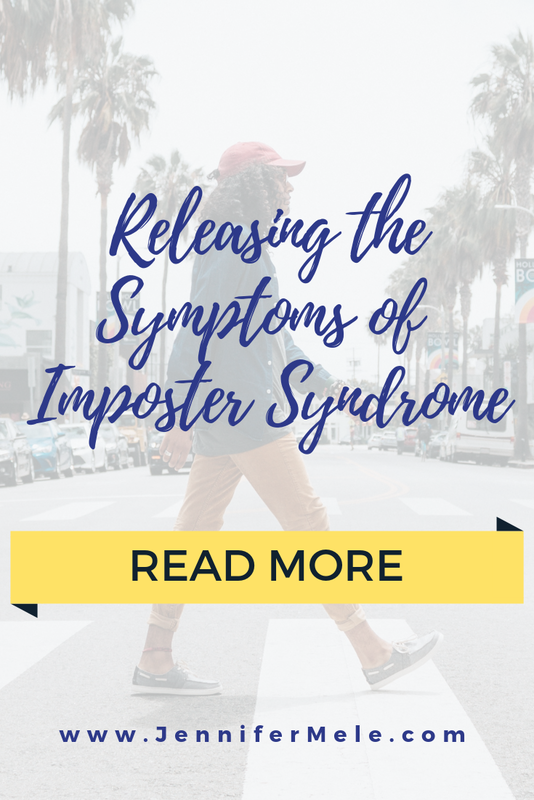 These symptoms of Imposter Syndrome (believing we can't possibly be the brilliant, compassionate, loving lightworking leaders of our daily lives and businesses) can distract us and lead us astray. However, these symptoms actually mean we are being signaled to step into greatness more. It means we are at a crossroads where the old ways of doing things don’t work anymore. When ever a situation that is uncomfortable comes up . . . You are being asked to dig deeper into your calling. What does your True Self really want? How does your True Self really want to feel? This is where your power lies. This is where the answers are. These are the outcomes that will guide your actions. Because when you acknowledge the desires that are aligned with your soul, when you let your soul take care of those symptoms of Imposter Syndrome, you are being led towards the greatest possible path unique to you for happiness, love and fulfillment..and of course peace. A calling isn’t a task or an expectation or a checkbox. It’s your true nature and it’s required if you are ready to be confident AF in your biz and in life. each rule you defy, you step deeper into that greatness. And you know it’s time when you are being signaled by all those uncomfortable symptoms, fears, broken lap tops and much, much bigger challenges that cross our paths on a daily basis. So what are your symptoms? And what would it be like to see them as signs to wake up more deeply into your calling? P.S. If you’d like support in deepening your connection to your inner confidence so you can step into your calling, check out my 4 week group coaching experience for women entrepreneurs ready to embody their true inner leader, click here! And if you haven’t signed up for my Confident CEO Assessment, you can do so here. This assessment will help you review 4 areas where Imposter Syndrome may be affecting you in your life and business.